A go to expert known for providing strategic financial expertise to companies in transition. 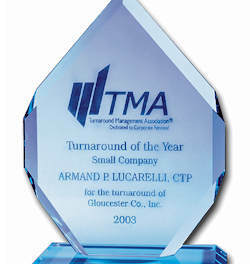 Armand is a topnotch turnaround consultant. I have hired Armand or recommended him to borrowers who have hired Armand for numerous engagements. Each engagement was completed successfully. Armand has the ability to both communicate the Bank’s position to his client while advocating for the client’s needs to the Bank. I will continue to retain Armand. I recommend others retain Armand, as well, whether a company needing a turnaround consultant; a bank needing a turnaround consultant who understands its internal pressures; or anyone needing due diligence on the operations of company (distressed or otherwise). Before founding Capital Restoration, Armand had a broad ranging career in industry and public accounting. Armand began his career in public accounting with Price Waterhouse and eventually became a Senior Partner at Goldfine, Lucarelli & Meile, CPAs servicing middle market New England companies. During his career in industry, he served as the Chief Operating Officer and/or Chief Financial Officer of several companies including a $100 million retailer and distributor, a $40 million financial services firm, and a $50 million international manufacturing and distribution company. Armand has served as an adjunct professor of accounting and taxation at Bentley University. 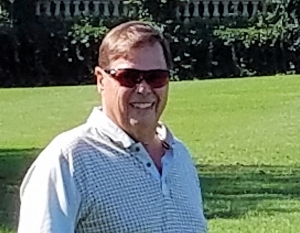 He has also served as a Director of the Leukemia Society, a Trustee of Boston BDLC, and on the Massachusetts Society of Certified Public Accountants (MSCPA) taxation committee. Armand served as a Board member of the Turnaround Management Association (1999 to 2010) and Founded & Chaired the Pro Bono Committee and the Career Services Committee. He was a member of American Institute of Certified Public Accountants (AICPA) and the Association for Corporate Growth. Armand received an MBA from Suffolk University, Masters in Taxation from Bentley University, and a Bachelors of Science in Accounting and Finance from Bentley University. The CEO just finished assuring you that the company is progressing and the future is bright, yet you cannot get comfortable. You feel uneasy about the company’s prospects. The economy is slowing and you wonder if the company can weather the storm. The Z score has slowly gained acceptance as a financial predictive tool, but he model is useful beyond forecasting possible bankruptcy. Outlines what we found and how we returned millions to the shareholders. Companies have been managing earnings forever, but is it fraud? This article takes a look at what can cause a CEO (career ending opportunities) and how to avoid lending into such a situation.